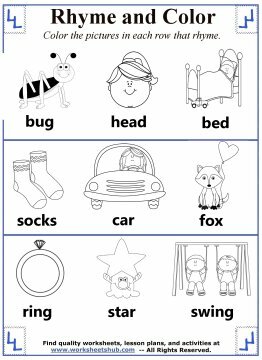 Find the rhyming word and color the objects that rhyme in these printable worksheets. 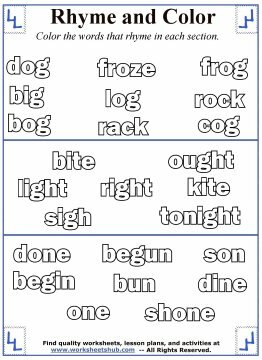 Download and print out the sheets below to help teach your child how to rhyme. There are six different papers to choose from and the concept is presented in two different ways which I'll cover below. 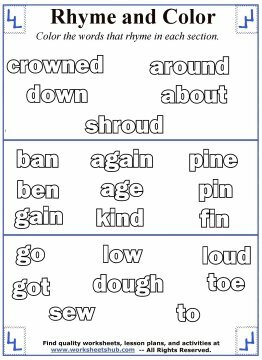 Rhyming is first presented in a visual format. The first three activities all follow this format. There are three rows of objects. 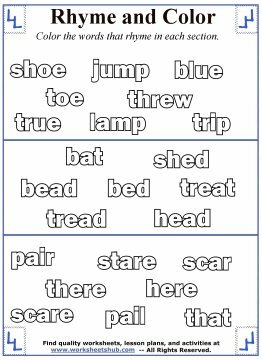 In each row there are three different objects--two of which rhyme. 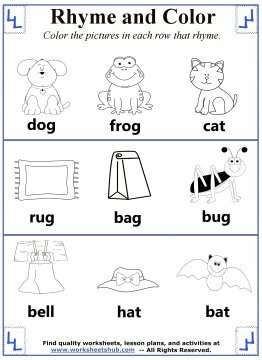 Help your child say the words and then color in the objects that rhyme. For example, in the 1st sheet below, your child would color the dog and the frog. The last three activity sheets use text instead of pictures, making this a perfect task for older students. The set-up is the same--there are three sections and each section has multiple words. 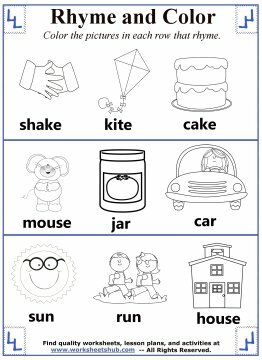 Help your child to read the word and then color the words that rhyme. Thanks to mycutegraphics.com for the clipart. 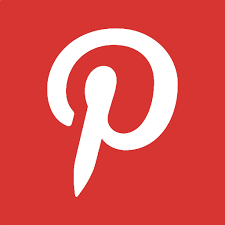 Learn about the clipart I use here.